These cookies are a very good substitute for their high calorie cousins, which usually have a lot more butter and sugar. The applesauce, which replaces some of the fat, does change the consistency of the cookie, but not in a bad way. The way these cookies come out reminds me almost of muffin tops, vs. cookies, but that's certainly not a bad thing. I would definitely recommend them to anyone looking to cut down on fat or calories in their diet. And bonus: everyone in the house loved them! A note on the consistency: This cookie dough was not what I expected. It was more like a muffin batter. I used a tablespoon to scoop, as suggested, but there is no way I would have been able to roll this "dough" into balls. So if you notice a runny batter don't be worried. I didn't have my mixer unpacked yet, so that was one strike against me, but I'm sure the consistency of my batter still would have been runny. The other thing is you'll notice two styles of cookies. One type has a browned edge and the other a more consistent color. 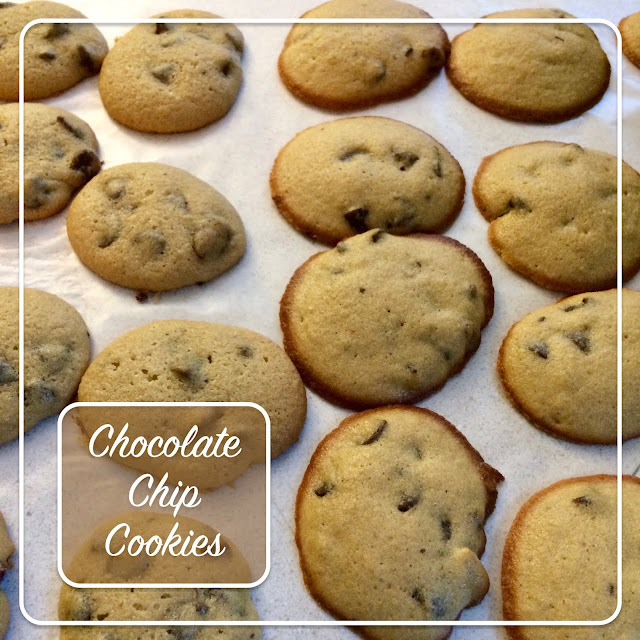 The browned edge cookies are from my heavy weight Wilton aluminum baking sheet. While I do like that pan, nothing compares to cookies on a stone. The ones you see with consistent color and no browned edges are baked on my Pampered Chef and Walmart stones. If you want the best cookies, definitely opt for a baking stone. Find the original recipe on page 28: 100 Favorite Weight Watchers Recipes.